N Chandrababu Naidu today met Delhi Chief Minister Arvind Kejriwal and Loktantrik Janata Dal (LJD) chief Sharad Yadav in New Delhi. Delhi Chief Minister Arvind Kejriwal today met his Andhra Pradesh counterpart N Chandrababu Naidu. 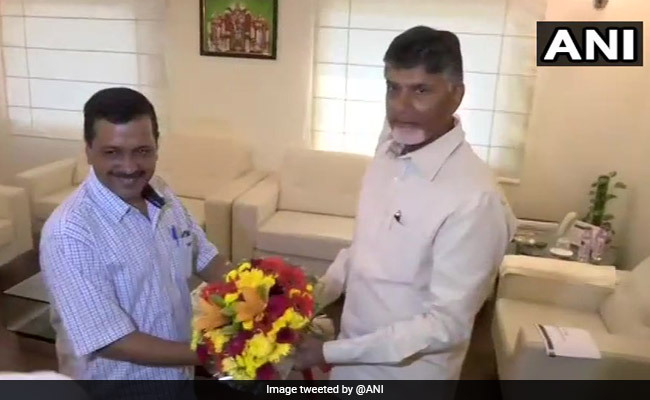 In the run-up to the next year's Lok Sabha elections, Delhi Chief Minister Arvind Kejriwal today met his Andhra Pradesh counterpart N Chandrababu Naidu and discussed national issues. Mr Kejriwal said Loktantrik Janata Dal (LJD) chief Sharad Yadav was also present for a while. 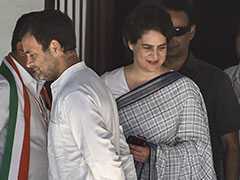 The meeting took place at the Andra Pradesh Bhavan in New Delhi. "Had a gud meeting wid Sh Chandrababu Naidu ji. Sh Sharad Yadav ji was also present for a while. Discussed national issues. 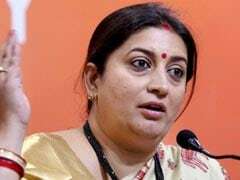 Present BJP govt is a threat to the nation n to the Constitution. 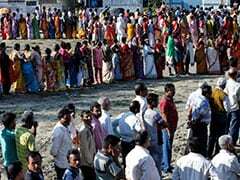 People across India will need to join hands to save India n the Constitution (sic)," the Delhi chief minister tweeted. 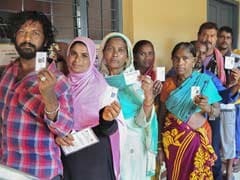 The Lok Sabha polls are scheduled to beheld next year.